Wild Digital - Snapframes - Poster mounting display system. 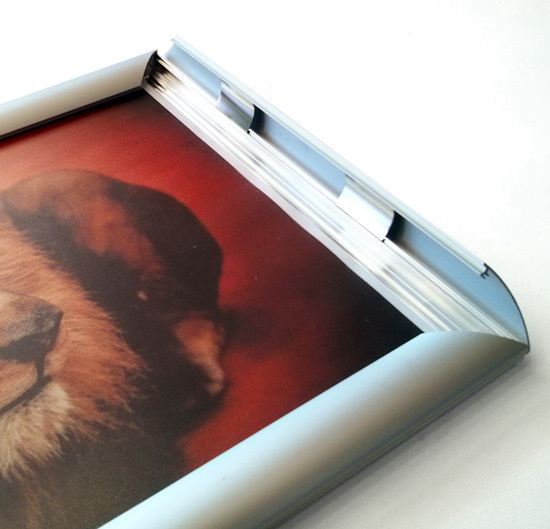 Snapframes are a fantastic way to professionally showcase your posters or photos. 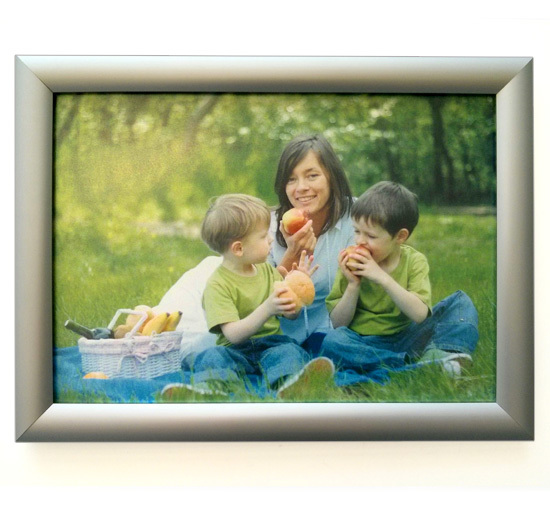 Our Snapframes are made from a stylish sliver aluminium making them lightweight and robust. They have a flute backboard and come with a matt acrylic anti-glare cover to protect your poster. Easily update your posters with Snapframes. Snapframes make it a breeze to change your marketing materials on a regular basis. They are front-loading, all four edges hinge open and close with a snap action. Posters can changed in seconds. Snap your poster in place and start promoting, it couldn’t be easier! Snapframes can be securely attached to your wall with screws (included with your Snapframe purchase). 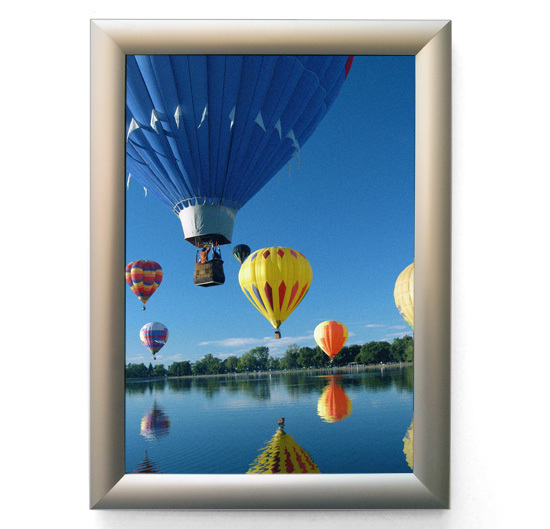 Snapframes are suitable for use in a wide variety of situations. They are perfect for shopping centres and shops, corporate offices, restaurants, schools, universities and hospitals. 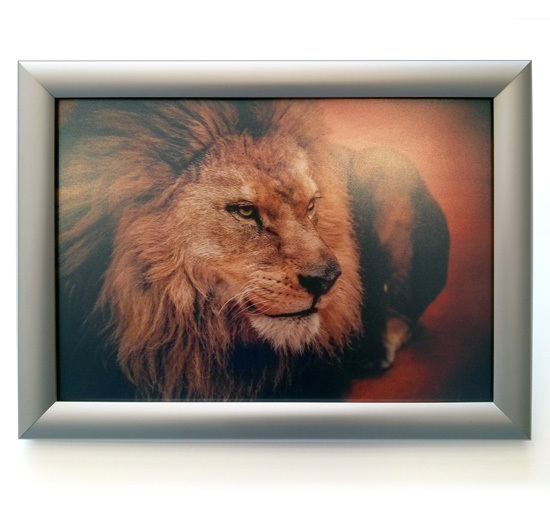 If you want to display your prints or posters in a quick, easy and elegant way then Snapframes are a great choice. Material: Anodised Aluminium frame. Flute backboard. Matt acrylic image cover. Sizes & Weights: A4 – 210 x 297mm (0.50kg). A3 – 297 x 420mm (0.84kg). A2 – 420 x 594mm (1.23kg). A1 – 594 x 841mm (2.25kg). A0 – 841 x 1189mm (4.85kg). Included: Wall plugs and screws for mounting the Snapframe to your wall.